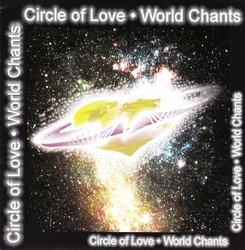 "Circle of Love" chants was recorded by an interfaith group of friends in the Seattle, WA area. They came together in 1991 yearning for global spirituality and in 1998 moved into the Interfaith Sanctuary Church. This is a collection of 12 of their favorite interfaith chants including: Islamic Call to Prayer, plus chants from Sufi, Hindu, Buddhist, Jewish, Native American and Christian traditions. It will prove to be one of your favorite sing along CD's for the car!